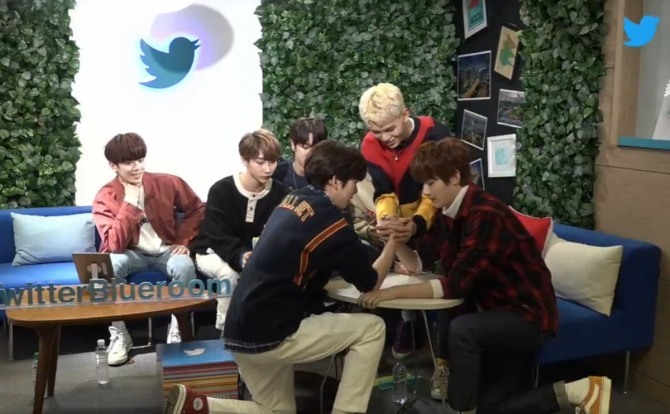 Rookie boy band Verivery’s first time at Twitter Blueroom Live, which took place at Twitter’s headquarters in Seoul on Monday evening, was nothing short a feel-good drama. The seven-piece boy band, launched under Jellyfish Entertainment earlier this month, offered fans a look into its personal sides by answering fans’ questions in an hourlong Q&A. Sporting casual outfits, the members -- Yongseung, Kangmin, Hoyoung, Dongheon, Yeonho, Minchan, Gyehyeon -- immediately filled the cozy forest-themed studio with their lively vibe and family-like bond. The Q&A session kicked off as Gyehyeon drew out one of the questions, sent by fans, from a box. The first two questions required the members to have a low-voice competition and asked about their nicknames. 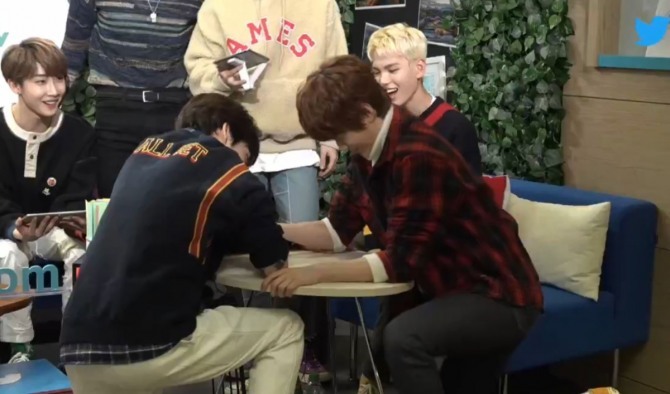 The boys looked quite nervous at first, but they started to loosen up after one fan asked them to have an arm wrestling. It was a neck-and-neck match, and Dongheon became the glorious winner, beating Gyehyeon, Michan and Yongseung. “Since I became the strongest member in the group, I will try to lead my bandmates in a good way,” he jokingly said. More personal questions such as about which hair colors the members would like to try one day, their favorite ice cream flavors, colors and scents, followed. Gyehyeon, who wore blond hair, said he hopes to dye his hair pitch black in the future, while Yeonho said he wants to try light pink. Yeongseung and Kangmin said they like caramel flavored ice cream the most, while Dongheon and Yeonho chose chocolate and mint chocolate, respectively. Hoyeong said his favorite color is red, as most of the main characters from cartoons wore red outfits. 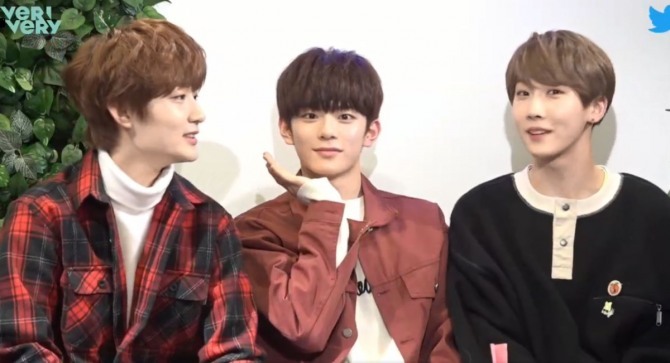 As for scents, Minchan said he adored smell of meat, while Yeonho and Dongheon said they like scents of baby powder and fresh bamboo. After talking about their individual preferences, Yongseung drew out a question about the members’ biggest inspiration in their lives and the mood got a bit more serious and emotional. 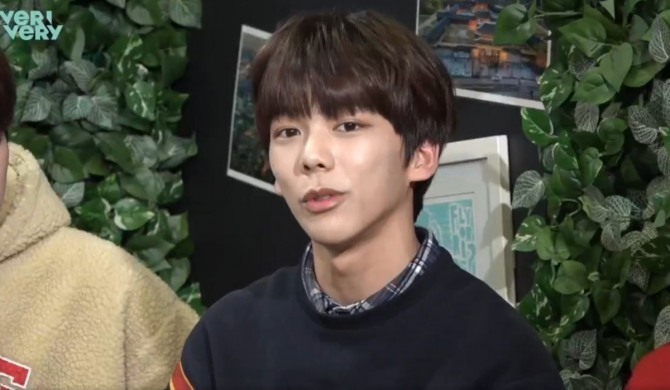 Yongseng chose pop musician Jason Mraz as his biggest musical inspiration, while Kangmin named Dongheon for encouraging him during his trainee years. 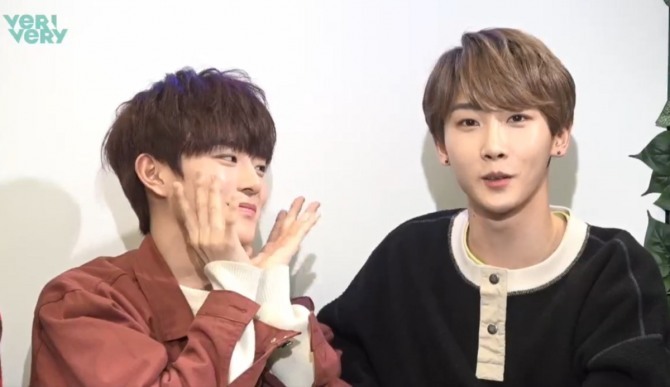 “When I was struggling with dancing as a trainee, Dongheon always told me to ‘just do it’ and it got stuck in my mind, enabled me to do it,” Kangmin said. Minchan said he respected BTOB’s Sungjae the most, as he hopes to become a musician who is talented in various fields like him. Overall, the members saw each other as their biggest strength. 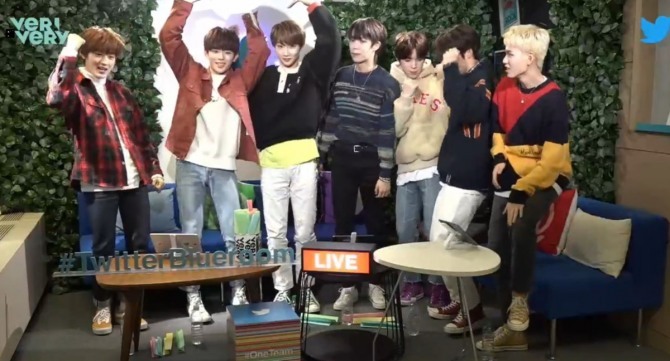 At the end of the broadcast, Verivery notched over 500,000 viewers all around the globe. And the members wrapped up the fun-filled broadcast by walking down the memory lane and talking about each other’s first impressions. 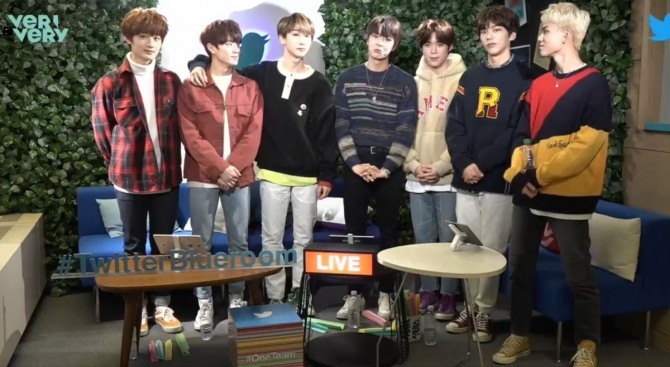 Verivery’s Blueroom live broadcast can be viewed again via the band’s official Twitter account, @the_verivery. Kpop Herald is the official media partner for the livestreaming show. Visit our Twitter account, @Kpop_Herald, for behind-the-scenes clips, exclusive photos and stories.